The Cabinet Pros will help you create the kitchen that is right for your lifestyle. Where imagination and creativity come together. We are a family owned company that provides Kitchen and Bath Cabinets, Cabinet Accessories and Hardware to professional home builders, commercial contractors, home remodelers and do-it-yourself homeowners in central Arkansas. Are you building a new home or remodeling your current home? Do you desire a beautiful and flawless set of cabinets to go in it? I have over 20 years experience. I am dedicated to providing a professional product of the highest quality at truly competitive prices. Custom cabinet shop with door shop. Construct kitchen, bath, library, entertainment, desks, dressers, chests, custom mouldings, bowls, cutting boards, we also make dovetail drawers and rollouts in prefinished plywood with UV finish etc. 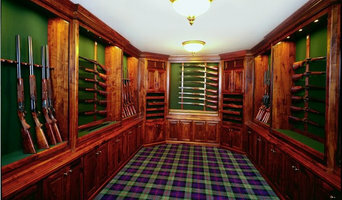 We design and sell quality custom cabinets and select heirloom furniture pieces. C P & W blends modern precision manufacturing (CAD and CNC) with the level of professionalism you deserve. Our goal is to provide you with unmatched service, quality cabinet doors, and drawer fronts shipped timely at a competitive price. We look forward to working with you to exceed your expectations. You will not find cabinet doors at a lower price in big box chain stores. That is our Guarantee! Give us a call and we will be happy to help you select cabinet door styles, take measurements, and more. We have earned an A+ rating with the Better Business Bureau. Give us your business and you’ll understand why. 866-630-4279. From a concept to a reality, Royal Crest Custom Woods can help you with your dream kitchen or dream house. As a general contractor who specializes in kitchen remodels with over 20 years of experience, we love to work with homeowners to achieve a special and unique look. If you are interested in inset, beaded inset and shaker style please call today. Central Arkansas leading Cabinet, Flooring and Countertop company. We do everything from kitchen remodels to house makeovers. We are builders of quality, handmade furniture and cabinets. We use proprietary finishing processes. All of our furniture hand made to meet your needs. A variety of materials are available. 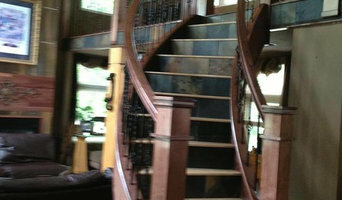 We build with both Domestic and Exotic hardwoods. Being a full service carpentry shop, our craftsmanship is second to none. Signature Case Cabinetry is designed, fabricated and delivered to you, exclusively installed by Dan's Kitchen & Bath. 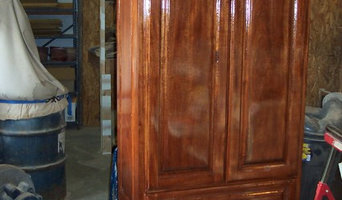 Burl's Custom Cabinets and Trim Inc.
Burl's Custom Cabinets and Trim Inc. has been a family owned business since 1978. We specialize in new construction cabinets, trim, and closets. Cabinetry professionals design, construct, refinish and repair banks of conventional cabinets, but they also create customized storage and shelving for home offices, playrooms, bedrooms, media rooms and other spaces. They’re in the know about Arkansas design trends and different cabinet styles, as well as the latest in special inserts and other options that boost functionality. Cabinetry professionals also can craft furniture to your specifications, such as a corner cabinet for a kitchen or a dining room hutch. 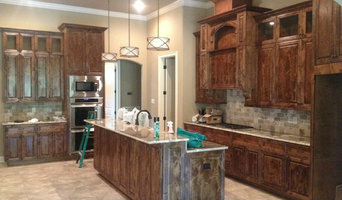 In addition, Conway, AR cabinetry pros can help you give worn or dated cabinets a makeover. They can replace doors; add glass inserts, decorative moldings and other details; or give cabinetry a new coat of paint or specialty finish. Your cabinetry professional might work closely with an Arkansas kitchen designer, builder, remodeling contractor or interior designer. Here are some related professionals and vendors to complement the work of cabinets & cabinetry: Kitchen & Bath Designers, Kitchen & Bath Remodelers, Interior Designers & Decorators, Closet Designers and Professional Organizers, Woodworkers & Carpenters. Find a cabinetry professional on Houzz. Narrow your search in the Professionals section of the website to Conway, AR cabinets and cabinetry. You may also look through Arkansas photos to find examples of cabinets that you like, then contact the cabinetry professional who worked on them.